With just over 6 months to go for the 2019 World Cup, most of the teams are looking to finalize their squads and be sure that they pick the right men for the job. 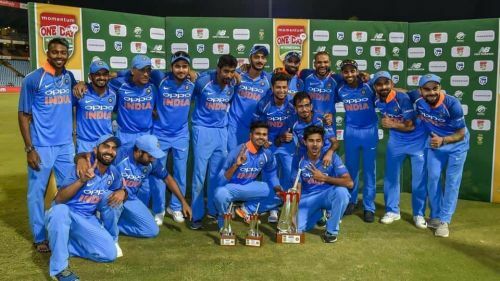 For the Indian team, only 13 ODIs are left before the biggest tournament in the sport begins. So, time is running out quickly for Virat Kohli to finalize his squad. Like any other captain, Kohli would also want to lift the most prestigious trophy in cricket. But to do that, he has to make sure that he has got the right mix of players. Although the nucleus of the team is already decided, there are still some spots up for grabs. Today we are going to take a look at five such players who can still make the 2019 World Cup squad. Manish Pandey has been around the team for a while now. He made his ODI debut in 2015 against Zimbabwe and since then has played 22 ODIs. 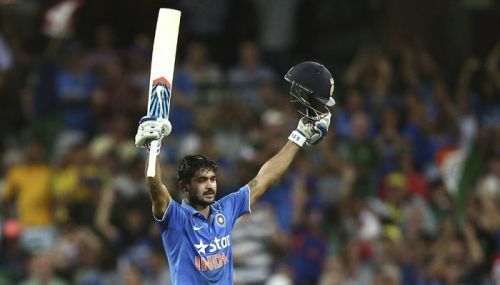 There is no doubt about his talent and potential as he was also part of a group of players who were fighting for the number four spot in the Indian team and looked to be the prime candidate but has lost his way in the last year or so. While Ambati Rayadu might seal that spot in the lineup now, the Indian team cannot rule out that Rayadu has been injury prone throughout his career. So, if there is any such scenario where Rayadu is not fit, Pandey might get the opportunity to play and being a good back-foot player, might come in handy in the English conditions. Who could still make India's World Cup squad?